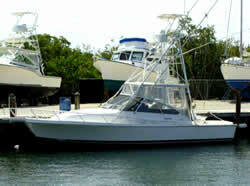 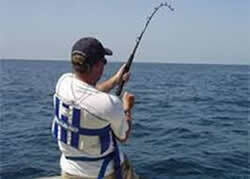 Enjoy ultimate sea fishing off our 26 ft. Grady-White boat, twin 200 Hp motors, all safety gear. 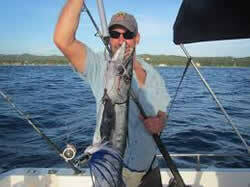 Experienced local fishing guides will take you to the best spots for marlin, sailfish, dorado, wahoo, tuna & barracuda. 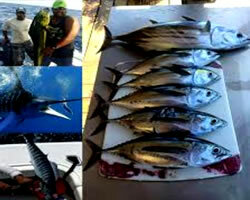 We can also arrange day trips to Cayos Cochinos & Pidgeon Cay.